Are you ready for the ULTIMATE Iron Maiden show?? 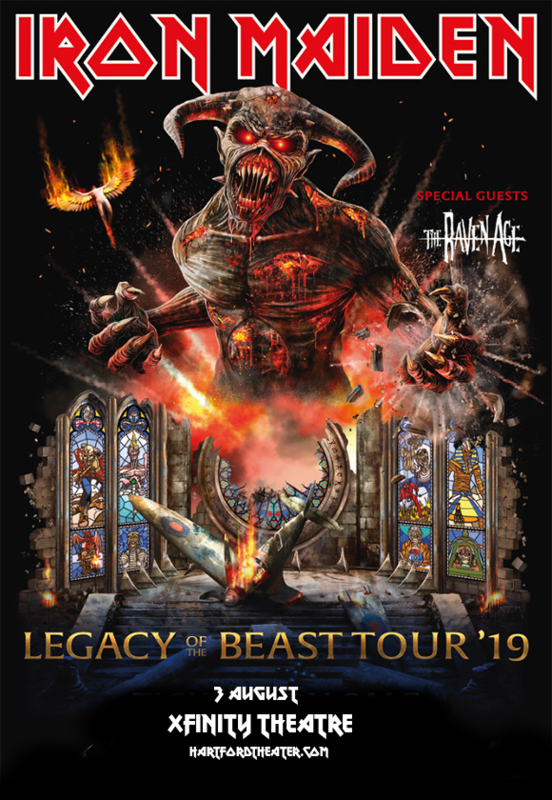 That’s right, based on the hit mobile game among fans, The Legacy Of The Beast tour is prowling towards the Xfinity Theatre, scheduled to arrive on Saturday 3rd August 2019 – will you be there to welcome Iron Maiden to the stage?? There’s only one way to be sure – get your tickets NOW before they disappear! Iron Maiden are well-known for their elaborate stage shows, featuring pyrotechnics, light displays and of course, appearances from their notorious mascot Eddie. This show, however, featuring the changing worlds of The Legacy Of The Beast game, promises to take fans on a journey through the world of Iron Maiden that they’ve never been on before. This will be an an all-new, meticulously crafted Iron Maiden live experience. "We gave a lot of thought to the setlist for this tour as the songs needed to follow the narrative of the changing worlds of the stage show,” bassist Steve Harris explained. “We feel we ended up with a very strong and well balanced set mixing songs we haven't played in many years, like 'Flight Of Icarus', 'Sign Of The Cross' and 'The Clansman' with songs we know the fans want to hear like 'The Trooper', '2 Minutes To Midnight', 'The Number Of The Beast', 'Fear Of The Dark', 'Run To The Hills', 'Hallowed Be Thy Name' and others, reflecting the journey through the different themes of the show. The whole band is really enjoying this tour and we are really looking forward to seeing everybody again!" Have you got your tickets yet? ?